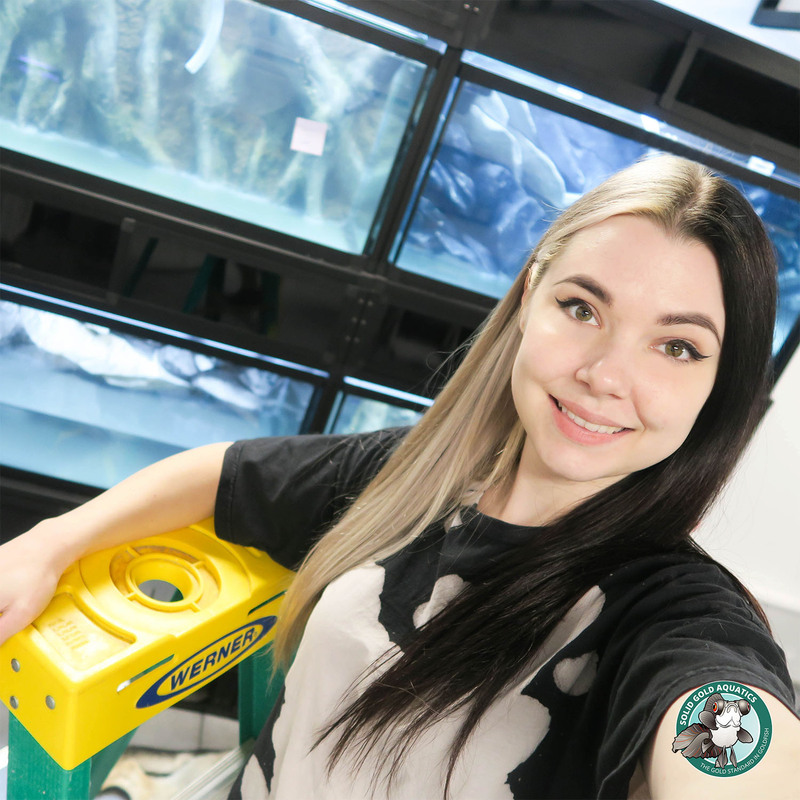 It’s hard to find words… after working on my fish room rebuild project for a little over a year now, it’s almost surreal to me that I finally have goldfish aquariums again! 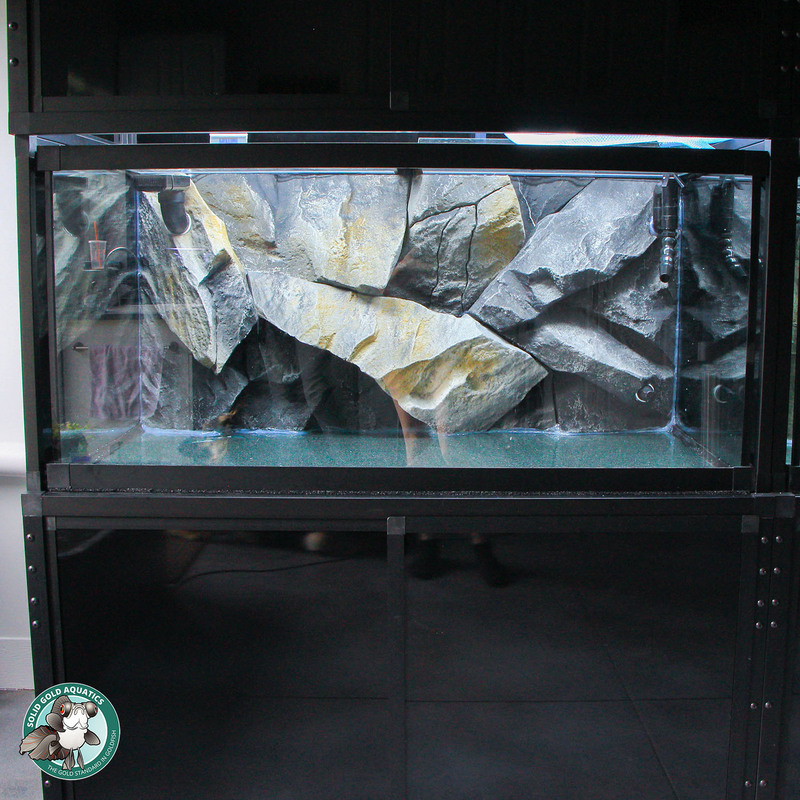 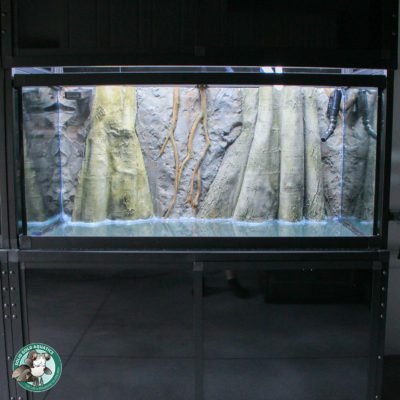 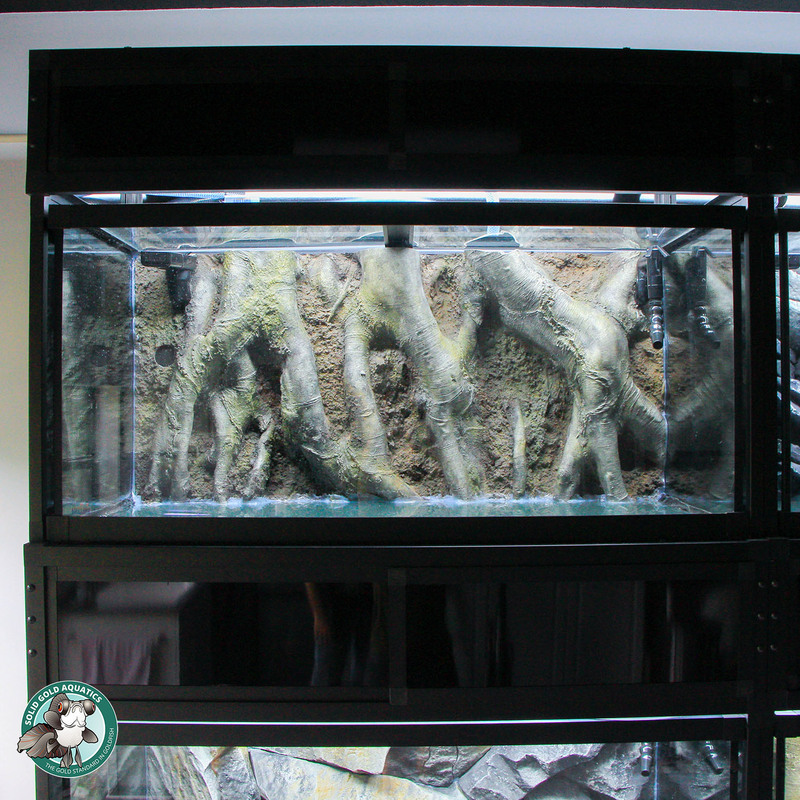 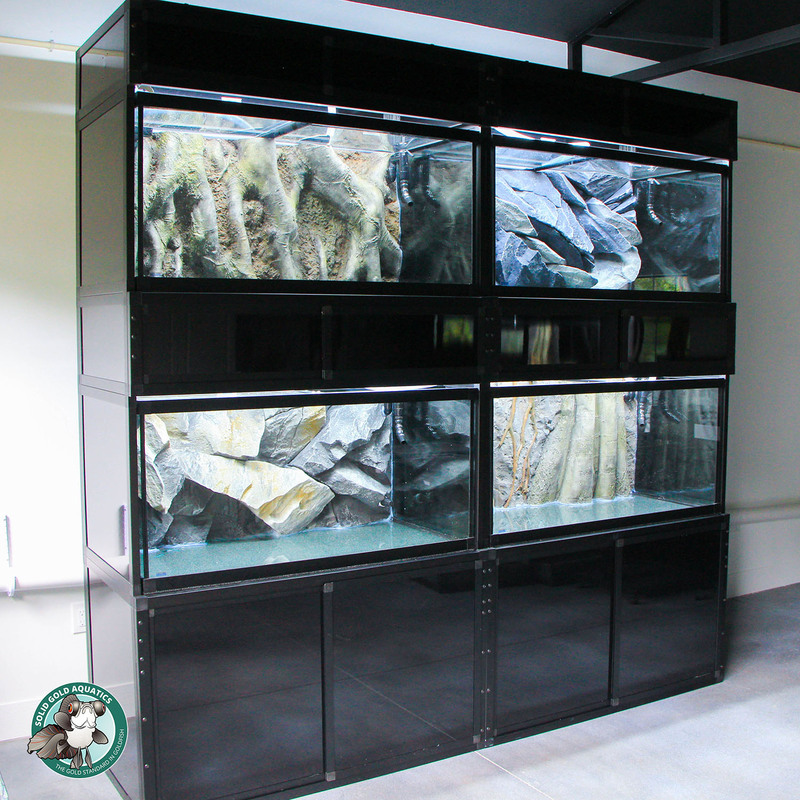 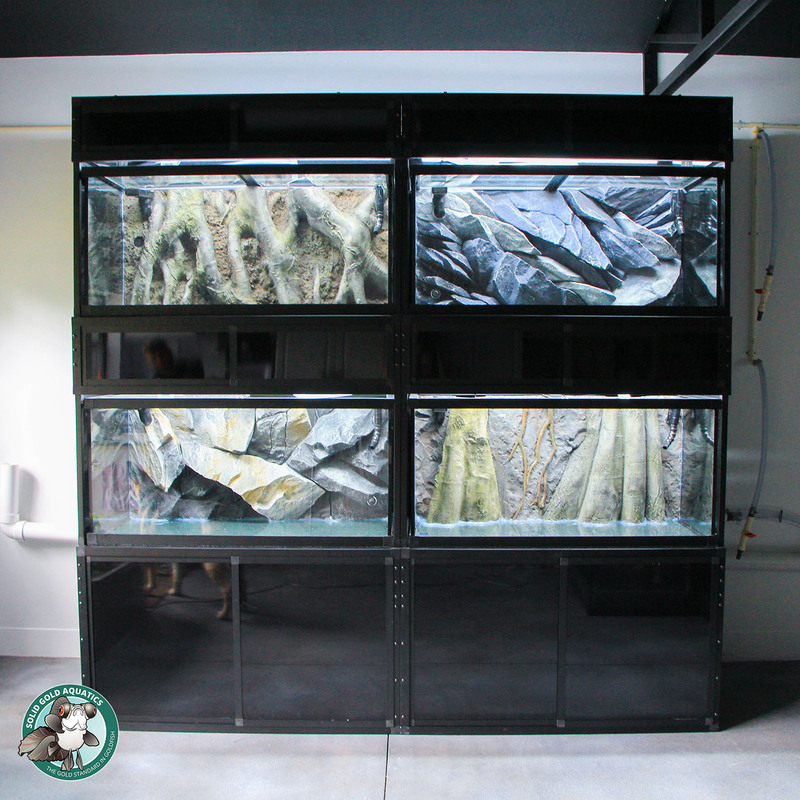 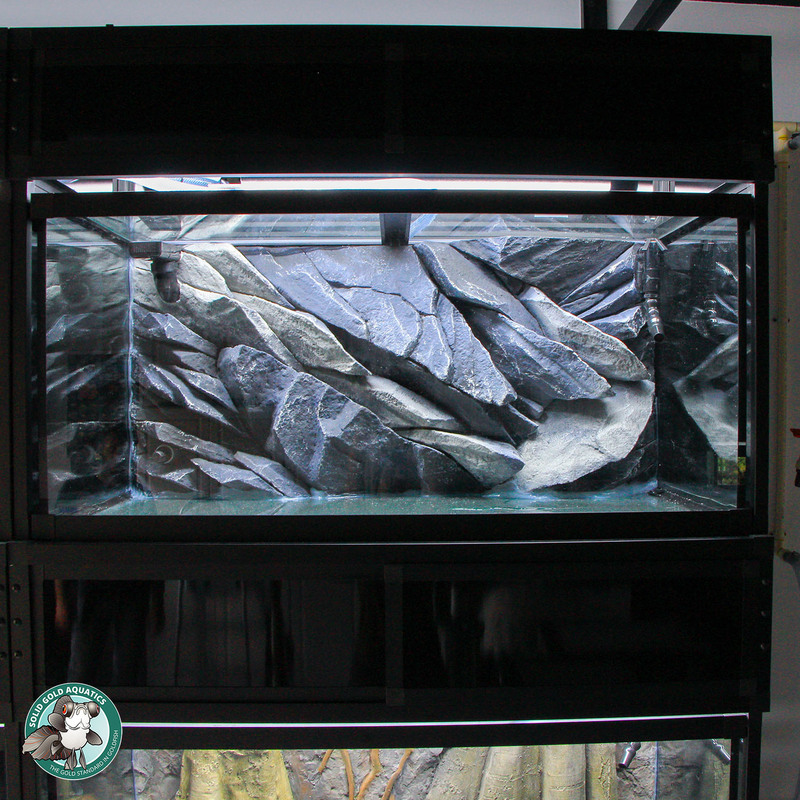 And my tanks are more beautiful than ever thanks to the support of each and every one of you, and to the amazing companies that stepped up and helped furnish my new fish room. 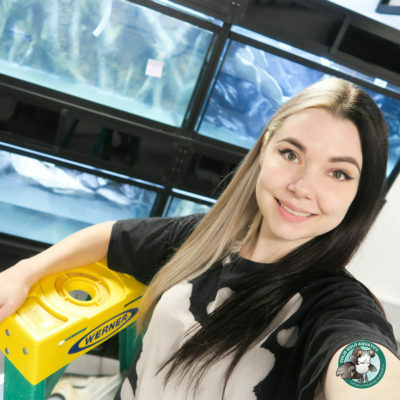 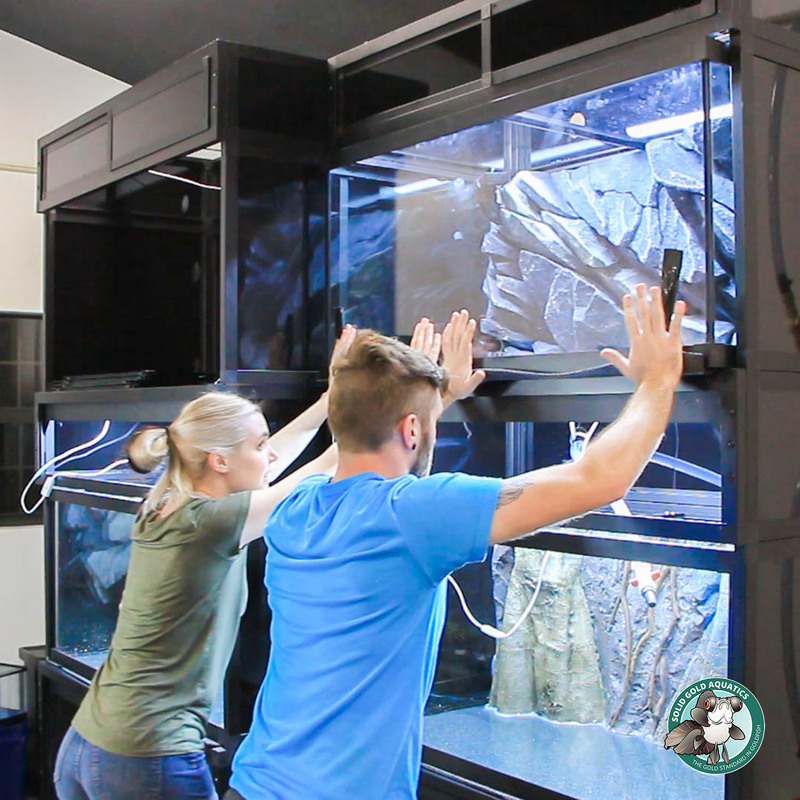 I’m forever grateful and I really hope you guys are enjoying watching everything come together in my fish room. 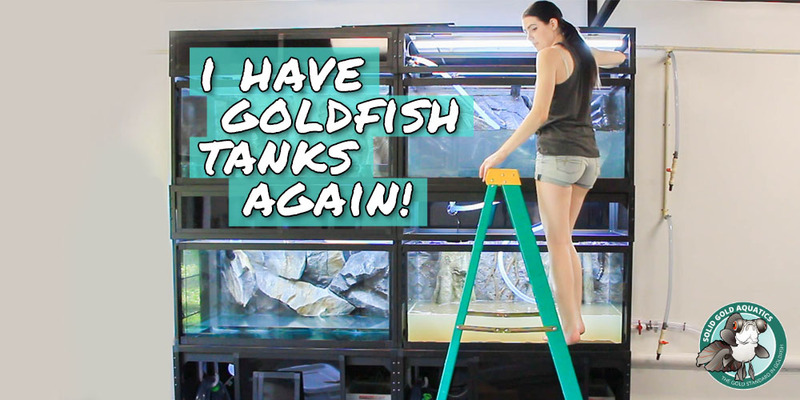 Now that I have goldfish tanks again, I’ll be able to talk about and share so many more videos of my adorable goldfish. I can’t wait! 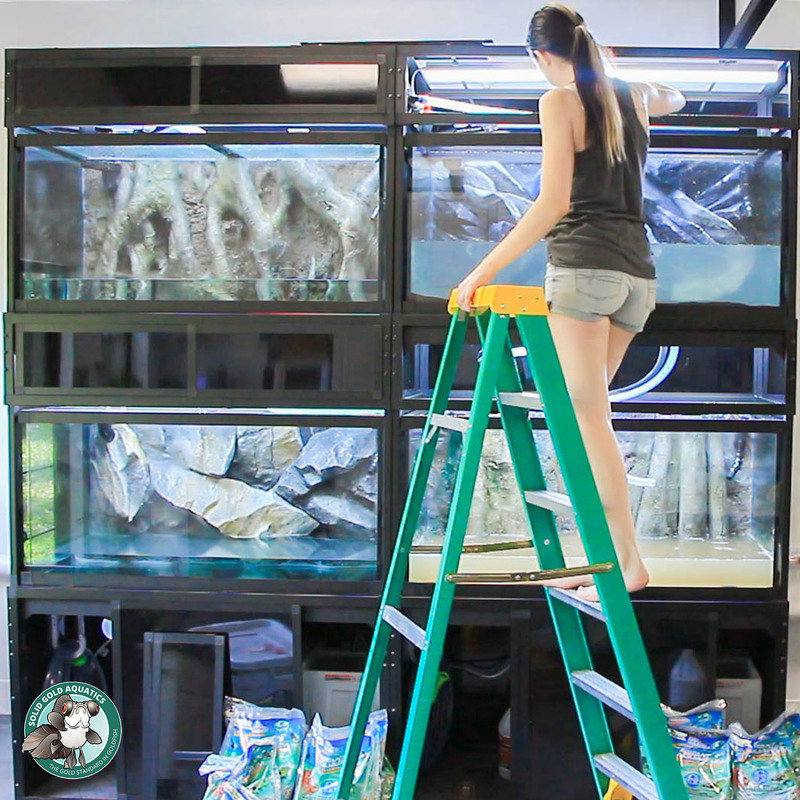 In this video you’ll see the process of setting up my first four goldfish tanks (there are still more on the way) and I’ll go over the filtration and the partially-automated water change system I created. 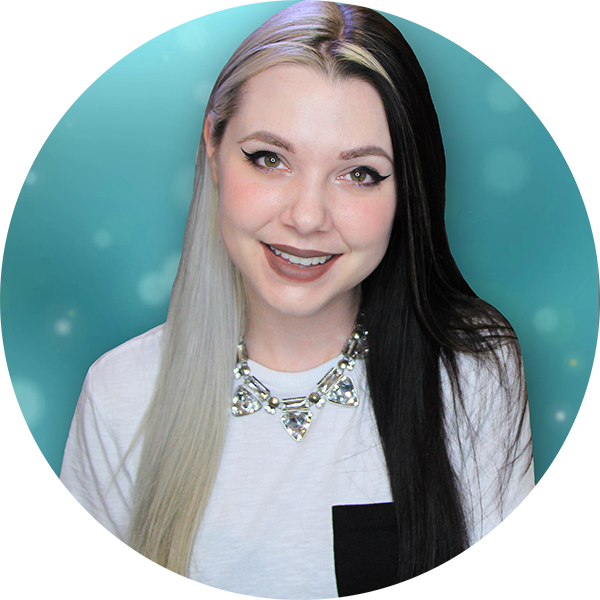 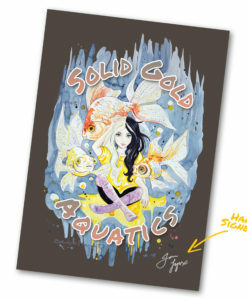 Thanks for watching and Stay Gold! This entry was posted in Goldfish, My Fish Room, My Fish Room REBUILD and tagged 120 gallon, AquaDecor, aquarium, aquarium rack, automatic water change, CaribSea, custom aquariums, fancy goldfish, filtration, fish tank, goldfish, goldfish aquarium, grateful, huge goldfish tank, sump filter.